Gujarat Public Service Commission (GPSC) has published result of Nayab Mamlatdar / Deputy Section Officer (Class - 3) Posts. 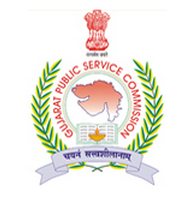 The following 3367 candidates are declared provisionally qualified in the Preliminary Examination conducted by the Gujarat Public Service Commission on 21.06.2015 for the post of Deputy Section Officer/ Deputy Mamlatdar (Advt. No. 51/2014-15) Thus The provisionally qualified candidates are declared eligible for appearing in the Main Written Examination, subject to their fulfilling all conditions of eligibility of Advt. No. 51/2014-15, necessary physical verification of OMR Answer Sheets including use of whitener and also the correctness of the information furnished by the candidates in their applications. In accordance with the rules of the examination, all these candidates have to apply again for admission to the main examination in the detailed application form, as per the instruction of the commission. Probable date for main exam : 28 and 29 May, 2016 at Ahmedabad Center.